Join Agile Testing and BDD eXchange London 2017, the go-to conference to discover and learn all the latest developments in the agile and BDD world. Agile Testing and BDD eXchange is crafted for and by the community and 2017 will be no exception! 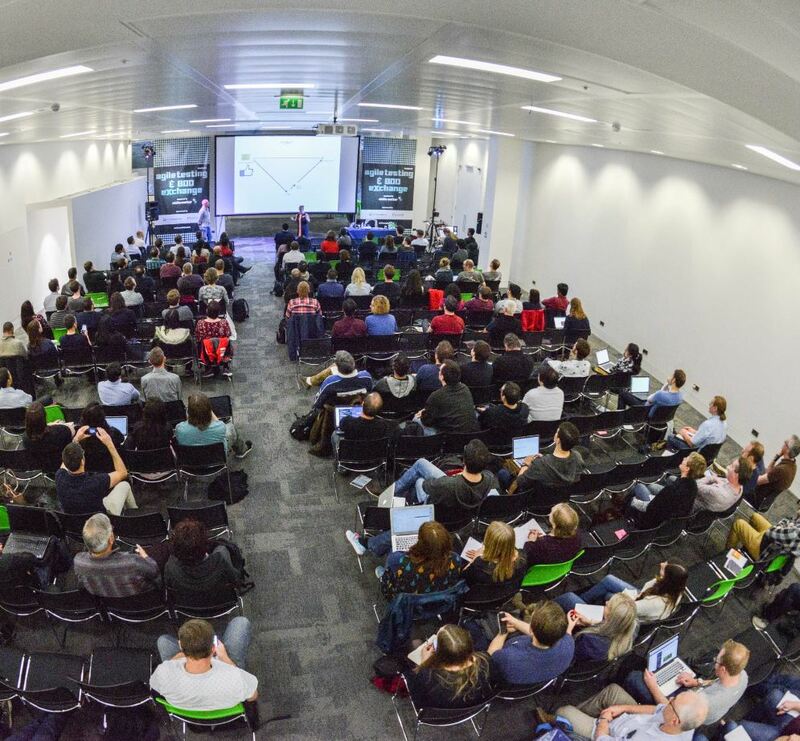 We are looking to gather your ideas on what this year's #bddx should look like. Which topics or themes would you like to featured? Which experts would you like to learn from? Which skills would you like to learn or share? Our first program committee meeting will be in April 2017 and your input will help us design our Call For Papers. Help us create the best conference yet, get involved and submit Your Thoughts here. Thanks to everyone's thoughts, input and talk proposals, we've been able to curate a fantastic programme of talks, discussions and unconference. Follow #BDDX on twitter and let us know what you think! 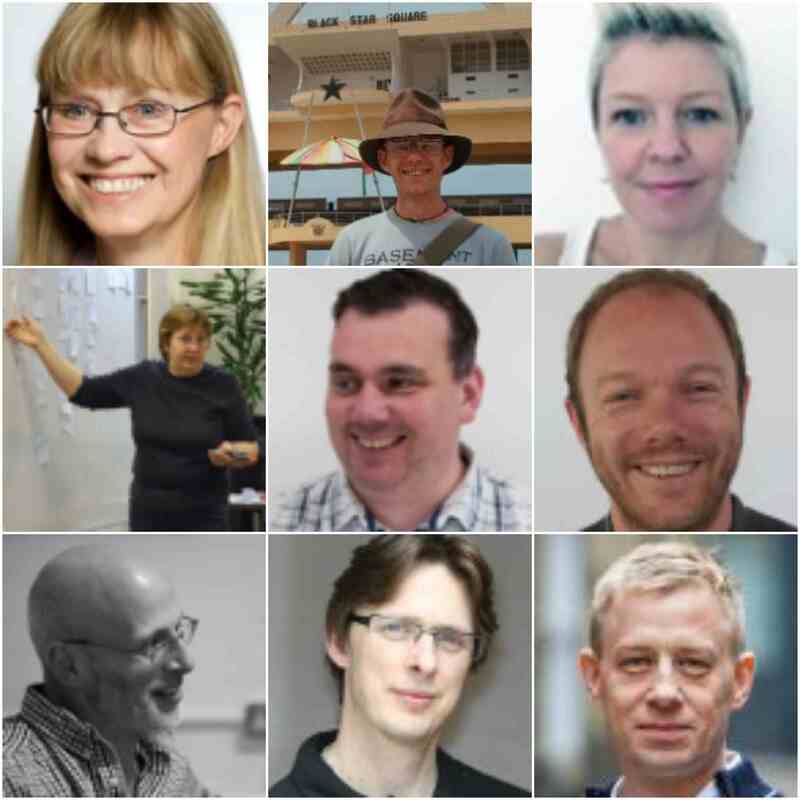 Want to stay in the loop with the latest developments within the agile and BDD community? 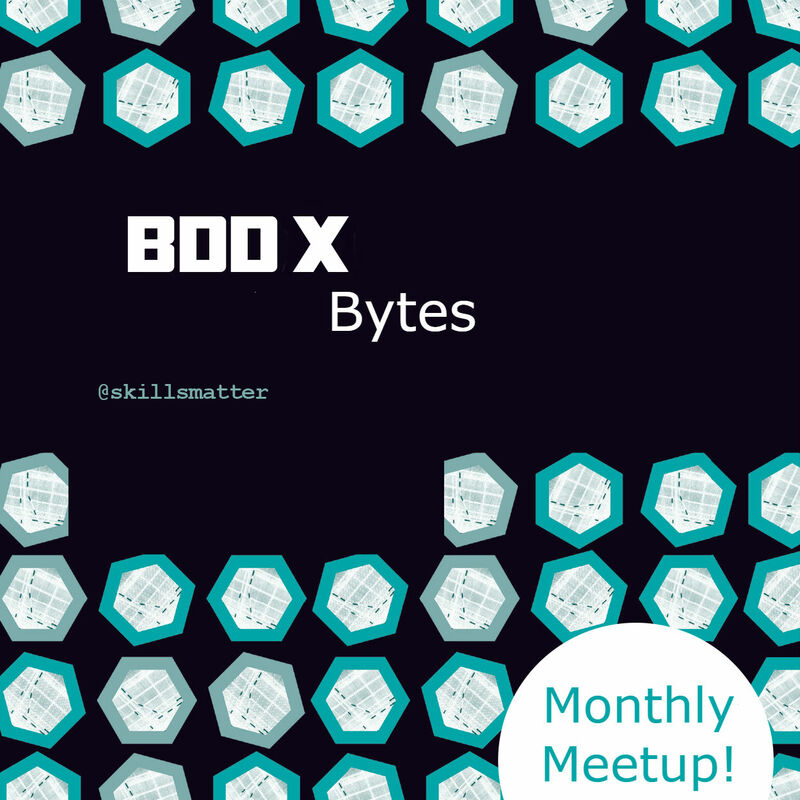 Join us at the brand new BDDX Bytes series we'll be hosting at CodeNode leading up to Agile Testing and BDD eXchange London 2016 and 2017! Join Uncle Bob for the first of the Bytes on November 1st - register for free here! 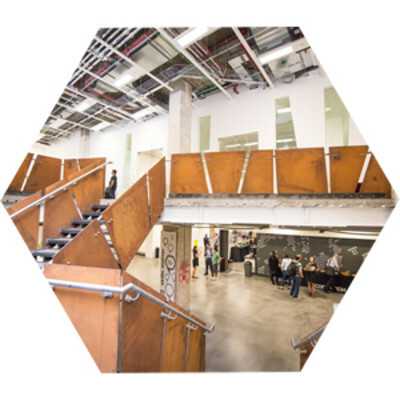 Follow us at #bddx and let us know what you're looking forward to the most! BDD started as a way to teach TDD to programmers who kept getting hung up on the idea they were writing tests. Fast-forward a decade or so and it seems BDD scenario automation tools have invaded the world of acceptance testing like Japanese knotweed. All around I see teams harming themselves writing awkward, verbose tests using slow, cumbersome tools like Cucumber and SpecFlow, and acting as though BDD is some kind of testing approach. Part of the problem is that once you have an automated BDD scenario and you've written the software to satisfy it, it can look seductively like a test. From there it is a short step to thinking of these scenario automation tools as testing software, and the rest is frustrating, repetitive history. This long-overdue talk explores the relationship between BDD scenarios and acceptance tests, and suggests some strategies for avoiding the pain of BDD-as-test automation. So how do you effectively implement and track an organisational change to ensure some level of adoption within an organisation? In this session you will learn to use a hypothesis driven approach borrowing from BDD and TDD to propose, measure and test the effectiveness of approaches allowing them to focus on the approaches that maximise uptake within the organisation. Malcolm has been a QA and Agile consultant in London for the last 11 years working with clients like Virgin Atlantic, Ericsson, Office Depot, YOOX and Elsevier/Mendeley, both on their approach to testing, and generally coaching in transformation and enablement. He is a passionate advocate of Agile and an experienced transformation coach. In all my years of being a tester, I mostly conducted testing all on my own. Why? I don’t really know. It’s what I have seen others do, and what I did myself. Sure, I will go and ask someone else to review my findings if I couldn’t come to a conclusion. But it never occurred to me that I could pair with someone whilst testing. Until fate took over and presented an opportunity for me to do so. I was a sole tester on a feature team and after a few months, we had another tester (let's call him John) join us. John had wonderful product knowledge and knew the basics of the project we were working on. Initially John and I started pairing whilst testing to bring John up to speed. However during this process we started talking and asking each other questions. We realised that by our testing was of better quality when we paired. This experience has made me take a step back and re-evaluate my skills as a tester. I now consider ‘being able to pair’ as one of the key skills a tester should possess. My testing style has changed considerably after I started pair testing. I now pair with others during various phases of development. We have all heard of benefits of pair programming and see it frequently being applied in agile teams. However I haven’t heard quite as much about pair testing! I have read a few papers and blogs on this topic, and have also heard of a couple of talks at conferences. Pair testing can be very beneficial to teams when applied correctly. I would like to share my positive experience on pairing a tester with you at Agile Testing and BDD exchange in a simple session. You will be able to use my tips and suggestions to identify opportunities for pairing with others. You will be armed with advantages that pairing can present to their team using which they will be able to convince other team members to pair. You will discover new ideas on running little experiments on pairing. Results of these experiments can help then evaluate if pairing is right for you or if you are doing it right. Raji is a scrum master at NewVoiceMedia who helps build outstanding, self organized teams. She has worked primarily in agile teams as tester and as a Scrum Master. She brings expertise and experience from both roles and has a keen interest in agile practices that help create and empower amazing teams. Raji presents at local meetups, peer group conferences, national and international conferences. Find Raji on Twitter at @raji_bh. His thought leadership is recognised through the references and acknowledgements found in numerous books – including Agile Coaching, Bridging The Communication Gap, Software Craftsmanship Apprenticeship Patterns and Agile Testing. Antony is also published in journals, such as Better Software Magazine, earning him his past tenure there as Technical Editor, successor to people such as Brian Marick and Mike Cohn. Antony is known for his inspiring and thought provoking talks at international conferences, events and within organisations and has regularly lectured as a guest speaker at Oxford University. For more on Antony, visit antonymarcano.com, Antony also tweets at @AntonyMarcano. End of #bddx Day 1! Whether it's object abstractions or whole systems, technical people often favour an internal, decomposed view, looking from the inside-out... or just looking at the inside. But when looked at from the outside a view based more on composition and questioning emerges. This is not just an observation on developing a system from the outside-in, slicing through a system to reveal architecture through usage, but also on how we can approach tools, processes, techniques and practices. They are often adopted and included with an insider's perspective, put in place without ever properly asking what we want from them. So, what do we want? We may say we want testing, but what do we want from testing? We may say we want logging, but what do we want from logging? We may say we want clean code, but what do we want from clean code? We may say we want an agile process, but what do we want from an agile process? These are harder questions, but their answers can make for better solutions. "When stranded in a hostile situation, it's important to prioritise your needs. Do you seek out shelter, sustenance, or fire first? This is the challenge a developer can find themselves facing in a new company - when the glow of the successful interview process fades and is replaced with harsh reality, how do you endure? In this talk we'll see what's really important for survival, what a developer's hierarchy of needs looks like, and how they can go about making a development organisation a hospitable place to live." Acceptance Testing and BDD are essential components of a healthy software development process; unfortunately on Mobile this typically results in the creation of slow, brittle and highly complex UI automation based tests. These can leave development teams and businesses left wondering, are BDD tools worth the pain? By revisiting fundamentals this talk explores the role it should play in driving collaboration between business and software and how it can be best applied in Mobile. 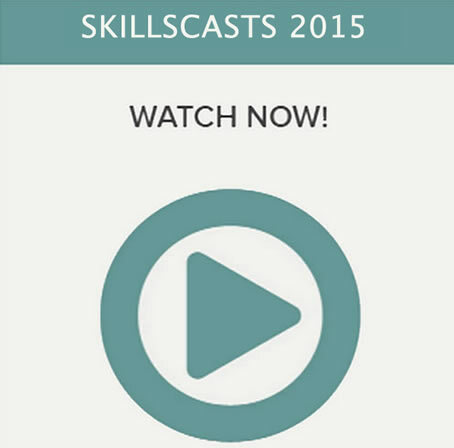 In this talk you discover an alternative approach to UI based testing. Through using a BDD tool like Fitnesse (a lightweight, open-source testing framework) we walk through an example of how to implement Acceptance Tests on iOS that are blazing fast, rock-solid and actually improve the architecture of your app's software. Increase you and your teams productivity and discover the secret to answering the question "Can we submit yet?" in seconds instead not days. #BDDx 2016 Wrap Up! Join us in CTRL as we announce #bddx 2017, and more! Check out the Highlights from Agile Testing and BDD eXchange 2016! Don't miss the 2017 edition of Agile Testing and BDD eXchange! 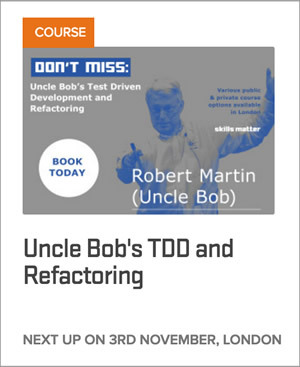 Join the great Bob Martin for this is a two-day Test-Driven Development (TDD) and Refactoring workshop in which you will learn the principles and practices as described in Robert C. Martin's book: Clean Code: A Handbook of Agile Software Craftsmanship. This course alternates between lecture and exercise so that you can experience, first-hand, the practices and disciplines of these fundamental topics: Professionalism, Craftsmanship and Clean Code, Code Smells, De-odorizing code by using refactorings, Unit testing, and Test Driven Development Design Patterns that facilitate testing and refactoring. BDD eXchange attendees get 20% discount of the course fees! Call our Training Team on +44 (0)207 183 9040 to get your Discount Code. SPONSOR THE #BDDX 2016 PARTY! Be remembered by all conference attendees, speakers and sponsors attending the party this year! Have your logo printed on the Agile Testing & BDD eXchange 2016 Party beer mats and on highly visible party posters and pop-up banners, which are bound to feature in lots of pictures this year. SPONSOR THE #BDDX 2016 ATTENDEE BAGS!